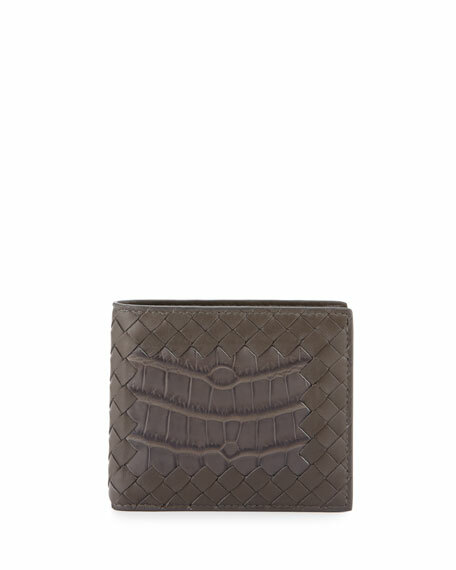 Saint Laurent crocodile-embossed calfskin wallet on a chain. 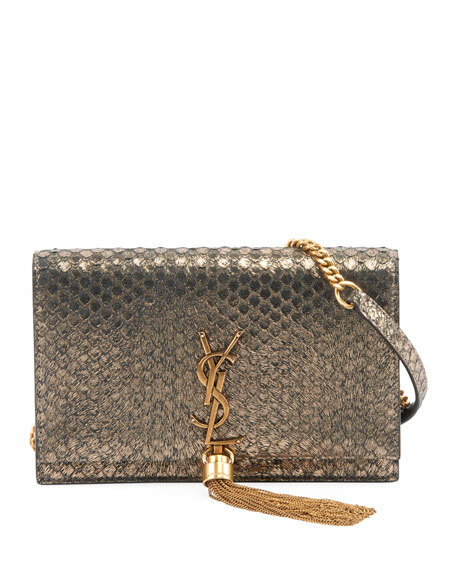 Chain and leather shoulder/crossbody strap, 22.4" drop. Gusseted slip pocket under flap. 5.1"H x 6.7"W x 2.8"D.
"Sunset Monogram" is made in Italy. For in-store inquiries, use sku #2031256. 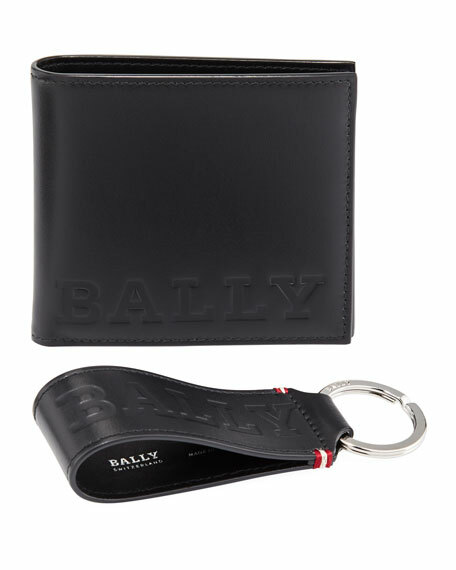 Bally gift box including bifold wallet and wristlet key chain in logo-embossed calf leather. One bill compartment, eight card slots, two receipt pockets. Subtle red/white/red Bally stripe detail. Made in Italy.